I’ve been thinking about out how to freshen up my patio and, as I looked around, I realized that we’ve done quite a bit in the patio space. Some of which are now gone (talking about you painted umbrella) but all the DIYs that we did were well-loved for at least a season or two. 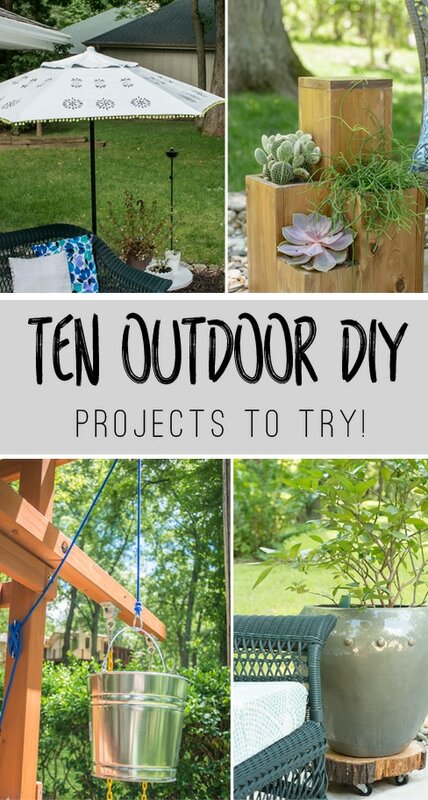 I thought I’d do a round-up of my favorite 10 Outdoor DIY Projects for you to try. Most of these are entry-level, so don’t let any of them scare you off! 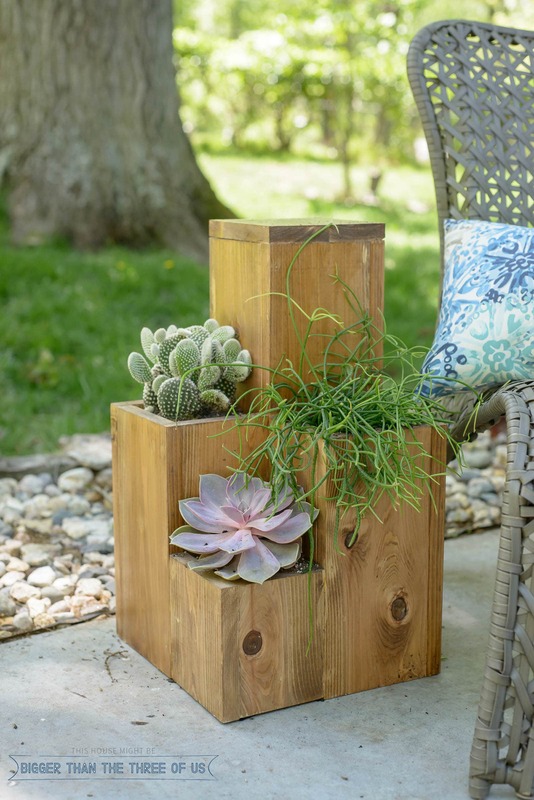 One of my favorite outdoor projects to date has to be this wood slice plant stand. 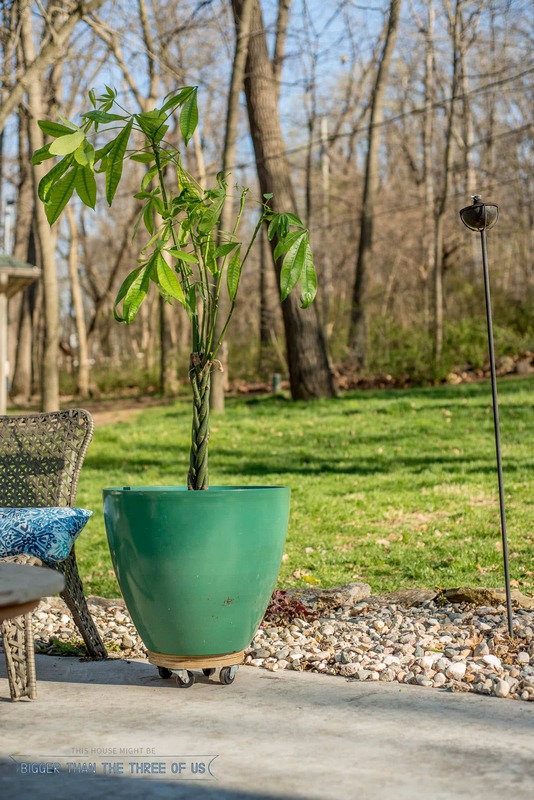 It’s helped so much in being able to move this LARGE pot around on the patio. 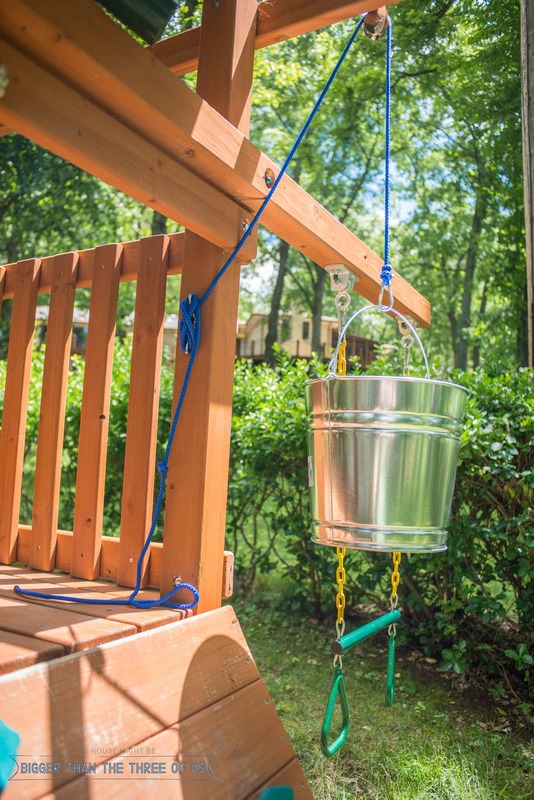 Greyson and his friends have enjoyed the bucket and pulley that we added to the playset a few years ago. 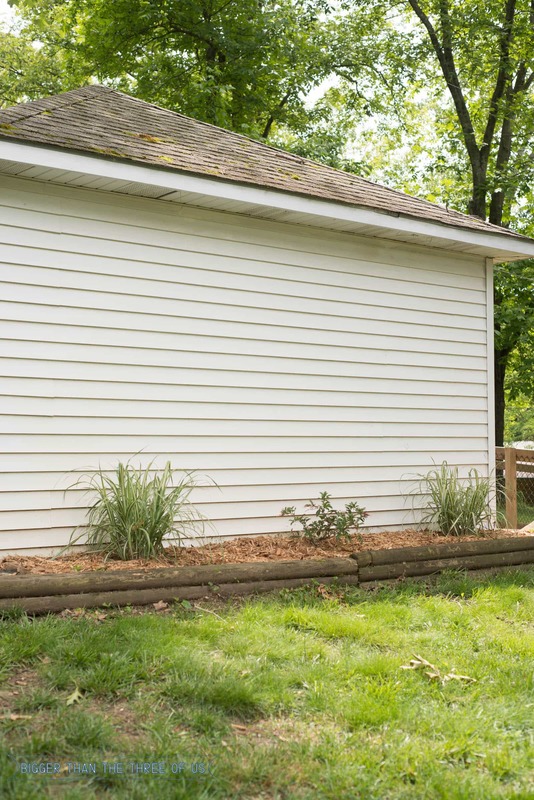 For a project that’s complete in under thirty minutes, this one is a definite winner! A few years ago, I fell in love with a bohemian umbrella from Urban Outfitters. I didn’t want to pay the $$$$ for it though, so one weekend… Luke and I tag-teamed painting our umbrella to look like my inspiration. It turned out so cute and lasted for about two years on the patio! I had some leftover plywood in our garage so I just piggy-backed on the wood slice plant roller and made another simple plywood plant roller. After a few years of constantly needing mulch around our patio, we finally got smart and replaced all the mulch with river rock. Best decision ever! When we moved in, we inherited a fountain on our patio. A few years ago, we set out to actually clean and maintain the fountain. 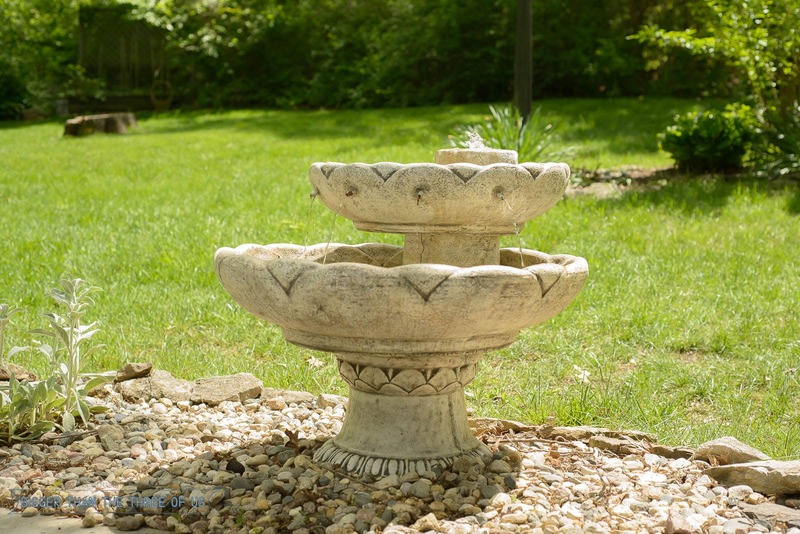 I shared how to maintain a fountain and it was pretty simple! 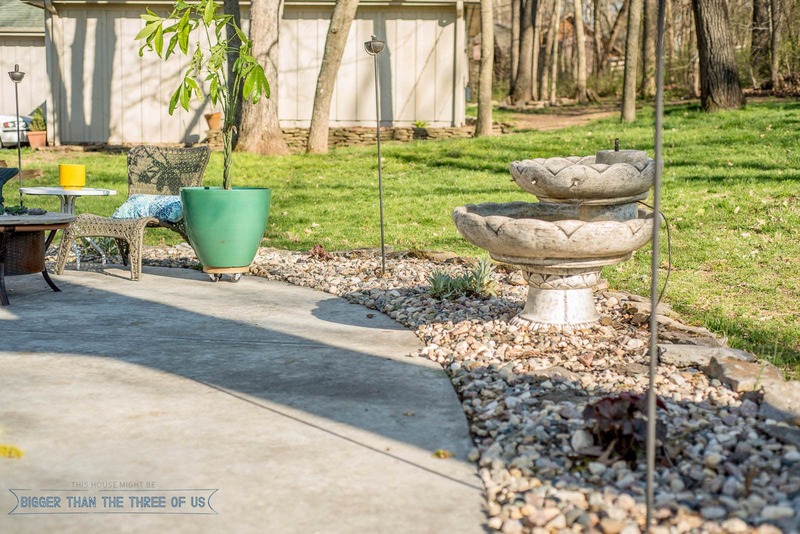 We have since sold the fountain, but if you are looking to add a fountain to your space, definitely check out that post. Wood, succulents and a place to set a drink? What could be better, right?! We made this planter a few years ago and I think it turned out adorable! 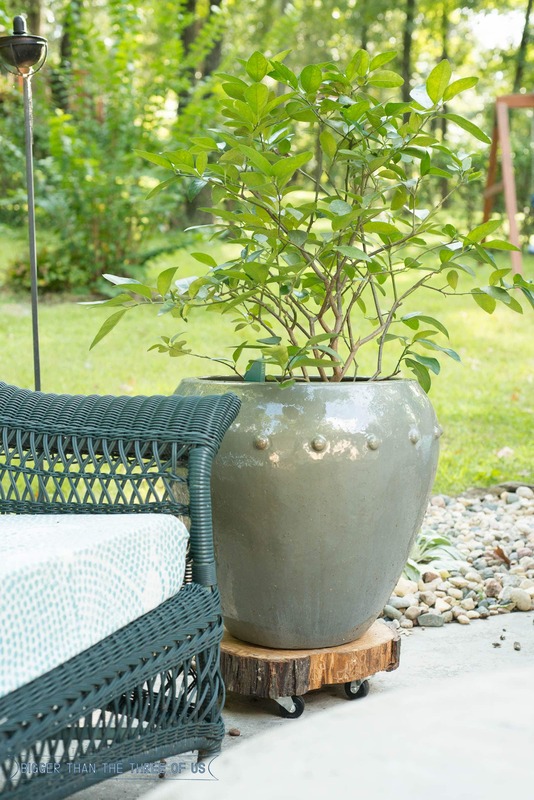 Get the tutorial for the wood planter table and make one for yourself. I always hated what the firepit looked like without a fire burning so I made a firepit tabletop cover. It lasted two years and was pretty darn cute while we had it. Sometimes, I think we overestimate what a little bit of work can do to a space. 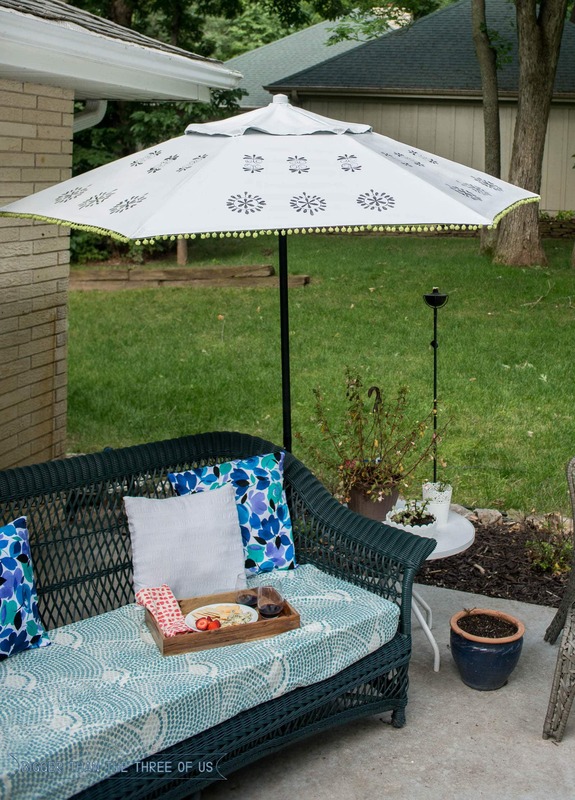 Check out this post on how to make affordable, simple changes to your outdoor space. We finally joined the power-washer club, but for the first few years of living here, we didn’t have one. 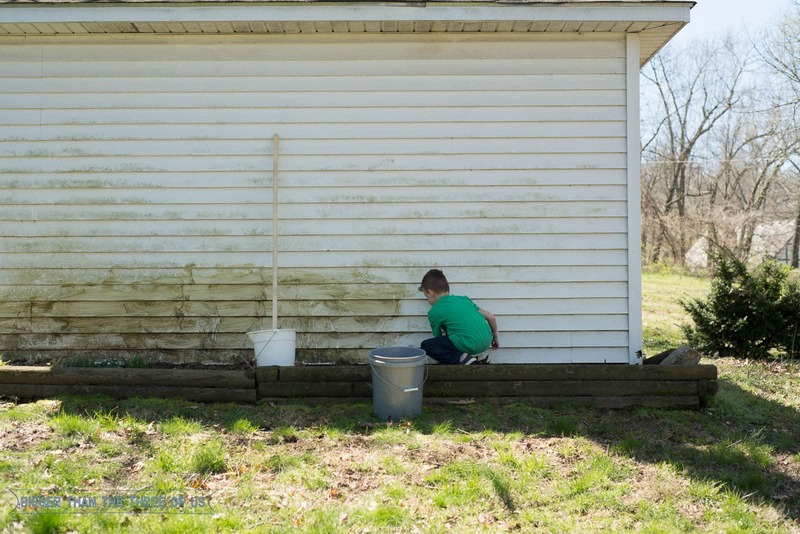 If you don’t have one either, then check out our post on how to wash siding without a power washer! It wasn’t hard and definitely got the job done! 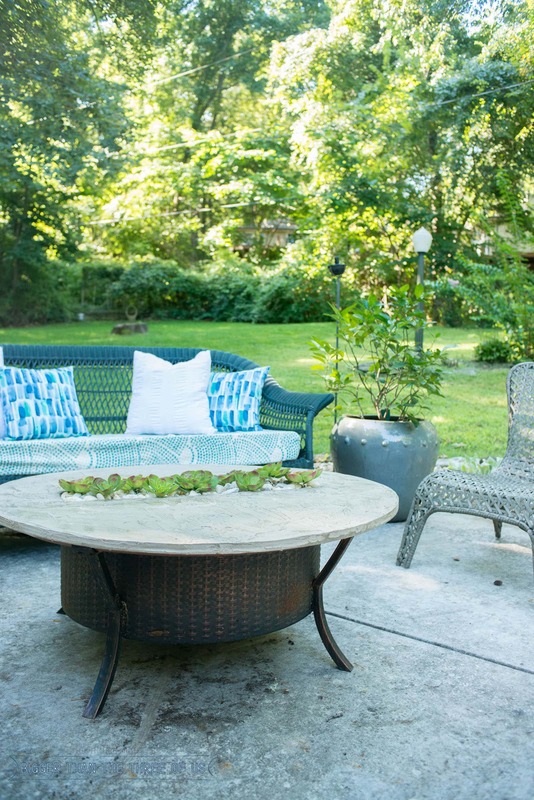 I hope you are inspired to start beautifying your outdoor space. I’m hoping for good weather this weekend so we can clean ours! We actually just purchased this modern table and chairs for our patio so I’m excited to freshen up the whole space and get out there to enjoy it! Pin for Later: 10 Outdoor DIY Projects to Try!